For two days in January 1972, Aretha Franklin sang at the New Temple Missionary Baptist Church in Los Angeles while tape recorders and film cameras rolled. Everyone there knew the event had the potential to be historic: five years after ascending to soul royalty and commercial success, Franklin was publicly returning to her religious roots. Her influential minister father stood by her on the pulpit. Her mentor, Clara Ward, sat in the pews. Franklin responded to the occasion with the performance of her life and the resulting double album became a multi-million seller-even without any trademark hit singles. But that was just one part of the story. Franklin's warm inimitable voice, virtuoso jazz-soul instrumental group and Rev. James Cleveland's inventive choral arrangements transformed the course of gospel. Through new interviews, musical and theological analyses as well as archival discoveries, this book sets the scene, traces the recording's traditional origins and pop infusions and describes the album's enduring impact. 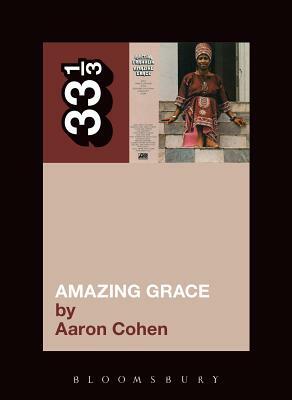 Aaron Cohen is associate editor of DownBeat magazine. His writing on gospel music has been featured extensively in the Chicago Tribune, and he lives in Chicago, IL. He recently won the 2011 ASCAP Deems Taylor Award for his article on Ray Charles in Downbeat.